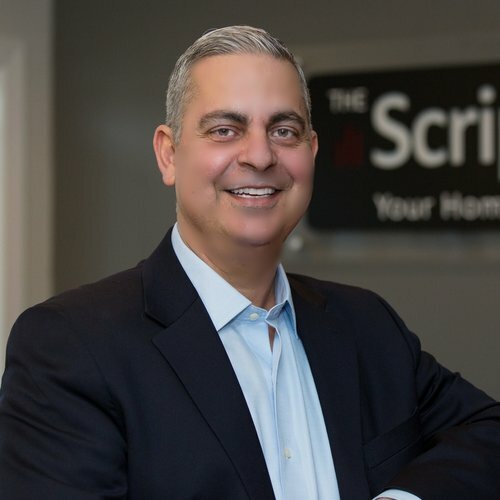 Joe is the leader of “The Scripa Group”, a team of highly qualified individuals who stimulate success in the Central New York Real Estate industry. Integrity, customer service and intelligent planning are self-evident characteristics of community leader Joe Scripa. Passive would never be a word used to describe Joe, he is a doer and you will enjoy doing business with him. Nikki is the Leader and Founder of The CNY Believe & Achieve Team, grounded at The Scripa Group. Whether it’s her professional or personal life, Nikki prides herself on living with a positive mindset. If you ask her, she’ll tell you, that’s what has gotten her through the low points in life. She takes this mindset and shares it with her real estate team – in turn, Nikki and her team impart on their clients that if you decide, commit, focus and believe, you will achieve! Most agents think about your real estate sale as their end game, Nikki knows buying or selling a home is only a starting point for you to start something new and she wants to help you reach it. That single belief has won him many industry awards throughout his career, not to mention the trustworthy characteristic that he is known for. When not helping his clients, Mike is a family man, with strong roots in the local community – he coaches youth football and baseball and is a board member on multiple local committees. Debby gained interest in Real Estate while trying to sell her own house years ago. A friend recommended she sell with Nicole Bronner and the rest is history! Years later, Debby is an irreplaceable member of The CNY Believe & Achieve Team at The Scripa Group. Debby has a daughter, 19, and a son, 21. She loves the outdoors- in the winter you can find her snowmobiling & in the summer by the water. She has been very involved in the local 4-H program over the years & volunteering with local horse clubs. Debby's positive mindset is what makes her an asset to the team. She says, "The very best part of my job.... I get to make people happy and see their dreams come true. There is no better feeling." Buying her first home with her husband in Central Square ignited Kayla's interest in real estate. She officially began her career in real estate in November 2017. Kayla stays busy with her three year old son, hobbies & work. Meeting new people and helping clients find the right house to call home is her passion. Her client dedication and love of helping others are what motivate her most. Kayla joined The CNY Believe & Acheive Team at The Scripa Group because she knows it's the best place to grow her knowledge and experience within the industry.